“Traveling while black,” a guide that outlined restaurants, motels, and other establishments that were accepting of black people traveling in the south during the 1960s. In a time of legal discrimination, “Green Book” was a handbook that blacks used for their mere protection and safety due to the color of their skin. 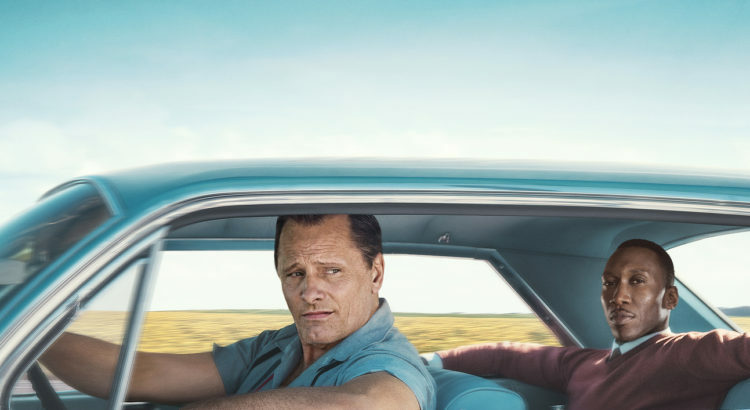 Based on a true story, Green Book is a film that takes the audience on a journey as an Italian-American male and African-American male spend two months time together on the road to the deep south and back. Directed by Peter Farrelly, Green Book embarks the true story of a world-class pianist and his personal identity crisis while co-existing in America during an extremely isolating time. Dr. Don Shirley, played by Moonlight star Mahershala Ali, has set out to go on a two-month tour, performing world-class compositions for wealthy, white Americans. To aid in this tour, Dr. Shirley hires a chauffeur, but more so a personal bodyguard. Word around town is that Tony Vallelonga (played by Viggo Mortensen) is the best man for this job. Currently a laid-off bouncer at The Copacabana Nightclub, Tony is well-known in his hometown in the Bronx as “Tony Lip.” This reputation is something he is proud of — for he is acknowledged for his cunning way of finessing people with his swift words and persuasion. Tony’s character is highly unadmirable and Farrelly makes us aware of this. It’s clear that Tony is racist, a thief, a liar, he’s violent, and ultimately is an ill-mannered mess (countless scenes of him sloppily eating, smoking, or both simultaneously). Despite these characteristics, the film spins these into the attributes of someone who is laid-back, carefree, obedient by any means necessary, and a humorous family man. Because of this angle, the audience is forced to want to support Tony throughout his adventure with Dr. Shirley. Contrastingly enough, Dr. Shirley is presented as the complete opposite in every way imaginable. He has no family, he’s extremely uptight, and lives in a bougie apartment above Carnegie Hall full of authentic and eclectic design. His vernacular is top-notch, his intellect is unmatched, his poise and mannerisms are highly distinguished, and his patience is extremely thin for someone like Tony. Considering these dynamics, it’s rather easy to predict the elements of the film. Interestingly enough, the majority of conflicts and emotions came from the interactions between these two characters, rather than the political/racial climate while they were traveling. This makes it difficult to fully identify what one may actually be satisfied with after watching the film. In some ways, there could have been much more emphasis on the actual happenings of discrimination. Furthermore, this inevitably presents a huge obstacle from steering away from the typical white savior perspective. In this regard, it’s hard to ignore Spike Lee’s Do The Right Thing. In many ways, Green Book relates to this film with its Italian-American vs African American conflicts. There is a strong tension led by stereotypes and grossly identified misunderstandings. Another theme that revealed from both of these films was the hierarchy of oppression — both of these races countering each other with respective struggles and biases that they face. However, Green Book introduces the topic of the hierarchical class structure. Tony demands that he’s more black than Dr. Shirley because of his lifetime upbringing in the Bronx, where he is a working-class man for his family and enjoys the typical “black foods,” while frowning upon the luxuries that Dr. Shirley has earned. This film wasn’t even on my radar but because of your review I definitely want to see it now!